I recently started a new business where I really want to focus on taking care of the customer needs, being proactive rather than reactive to them. As such I need a simple Customer Relations Management (CRM) tool to keep track of my promises and contacts. There are probably many simple CRM tools available but I decided to try out WordPress as a CRM tool. I make one post for every type of contact (e-mail / phone / order etc) I do every day, if several contacts to the same company / person occurs the same day they still only get one. Tags are techniques, events, frameworks etc. On average I get three to four posts every day, usually covering a broad area. Some days there are big events which often are reflected in the blog/CRM by only having one post for that day. Amounts of posts per day is therefore irrelevant. I keep the posts very short, they are mainly thought of as references to other information like an e-mail or something else. If it was a phone conversation I usually take down a few simple sentances of what the discussion was about. Three months later I now use this internal blog alot! It helps me keep track of events that I might have forgotten about. When I had a tax issue recently I could quickly click the “tax authority” category and see which days I had communicated with them and leave as a reference in my future communication. One thing that also helps me is the simplicity of clicking a category to bring up all the communication with that customer. When someone calls I quickly click their category and all my previous conversations with them are recorded. It helps me quickly remember what we where talking about, just like a CRM should. 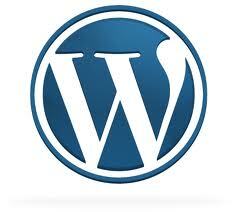 There are of course limitations, WordPress was never intended to be used this way. There are no way to search for inactive customers for example, should the need for this arise a plugin for WordPress could most certainly easily be developed. Furthermore you need to be very careful about where you install the software so you do not publish all your information on the Internet. I run my business alone but this setup would work very nice also with a few employees I would imagine. Everyone could be an author in the same blog and you can access what the other persons are working on should a customer call when they are out. The simplicity of WordPress makes this a great choice for me!